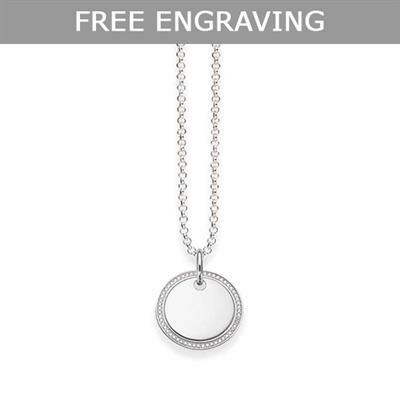 This beautiful necklace by Thomas Sabo is made from 925 Sterling Silver with a simple disc motif, edged with sparkling Cubic Zirconia crystals. The plain disc can be engraved with a message of your choice, making this the perfect personal gift. Let us know what you'd like engraved in the comments section of the checkout.